Ahoy mateys! Stylish pets can get in on the nautical trend this summer with these modern maritime accessories. From striped bow ties to sailing rope leads and beautiful boat beds, StyleTails rounds up this summer’s chicest nautical accessories for contemporary canines and cool cats. 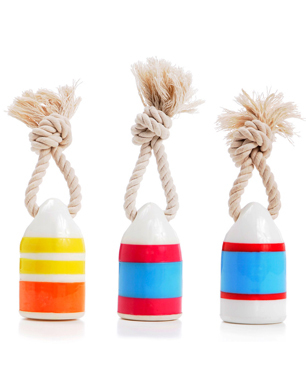 Playtime gets wet and wild with this cool floating buoy toy. Take it to the beach or lake, throw it in and watch your furry first mate dive in to retrieve. 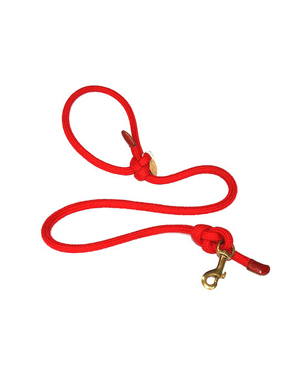 Sailing rope makes a stylish and incredibly strong dog lead that won’t snap, even when wet. This one from Bone & Rag features a bowline knot and comes trimmed with double stitched leather for extra strength. Seafaring felines can nail the nautical trend with this aptly named ‘Moby Chic’ striped bow tie. Handmade in Berlin and easy to slip over your cat’s collar – it’s an instant summer style update. 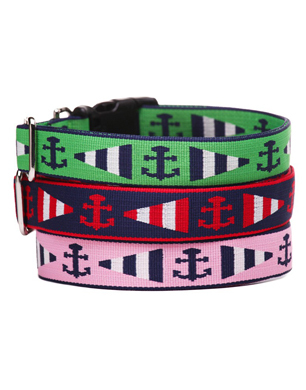 It’s anchors away with these playful nautical dog collars from Harry Barker. Made from recycled plastic and in a range of chic summer shades, they’re the perfect accessory for a day by the seaside. 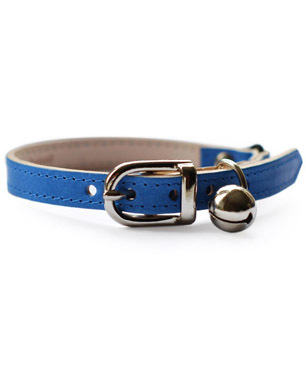 Felines don’t have to miss out in the style stakes this summer; this nautical blue cat collar is handmade from Italian leather and fitted with your choice of silver, gold or antique bell. 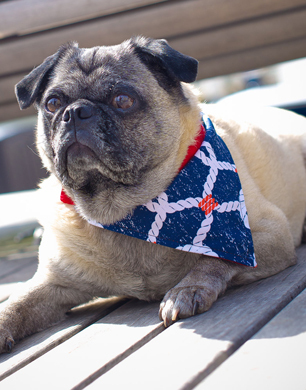 Maritime mutts will look the part with this on-trend bandana with sailing rope print. Tie it around their neck for the perfect look for a summer walk or day by the water. 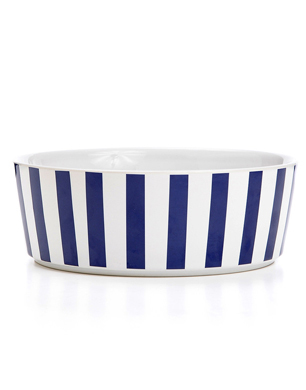 Bring the nautical trend indoors with this playful ceramic dog bowl. The bold block blue and white stripe will look great in a modern interior, plus they’re dishwasher safe for practicality. 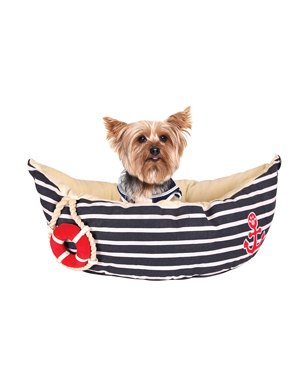 Sail away in this ultra playful boat dog bed. Beautifully soft and the perfect pod shape, canines can cosy up and doze off after a long day of play. 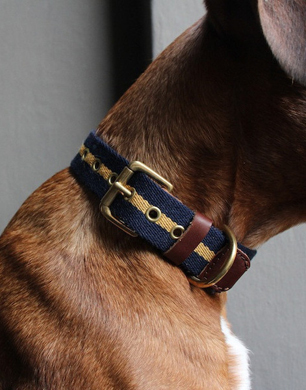 Style conscious hounds can channel the nautical trend with this classic navy and gold striped collar and lead set. For more nautical inspired trends, click here.